Manipulators are a set of interactive tools for controlling transformations of objects. Letting users manipulate objects interactively on the screen is far more intuitive than trial and error tweaking of numbers in pursuit of suitable values. The most common transformations are translation,rotation, and scale. Manipulators are presented to users as widgets attached to objects and by interacting with these widgets the transformation parameters are changed. Many modeling packages, e.g. Maya, offer some form of interactive manipulation of objects. The manipulators shown here were implemented from scratch, using C++ and OpenGL, for Naiad Studio. 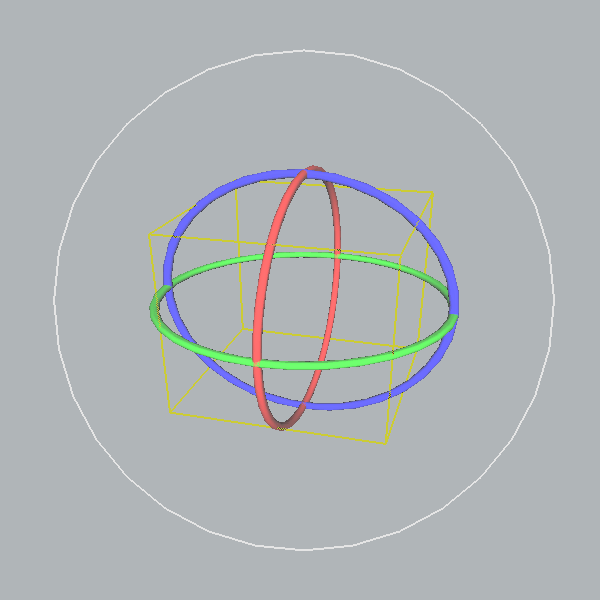 Rotation was implemented using the famous ArcBall quaternion methods. 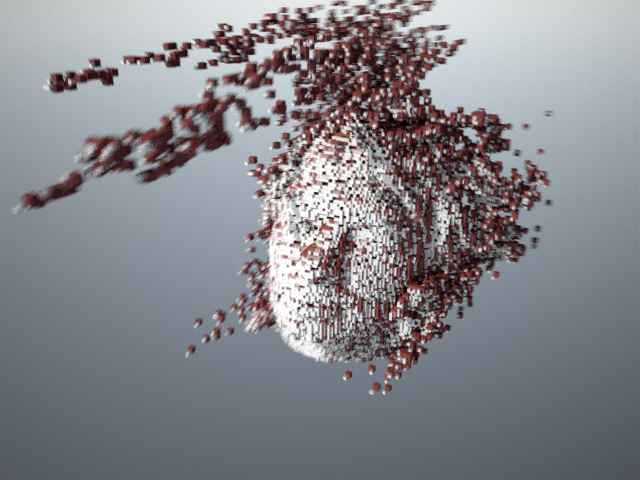 Large point cloud visualization is challenging because of the huge sizes of modern data sets. Additionally, using points as rendering primitives has significant drawbacks, that are further amplified in situations where large numbers of points are involved. Put simply, mathematical points have no volume, and, therefore do not cast shadows. Further, points have no surface area and no natural normal vector, which is commonly used for shading. Although, both volume and surface area can be approximated, it is difficult to get it right. 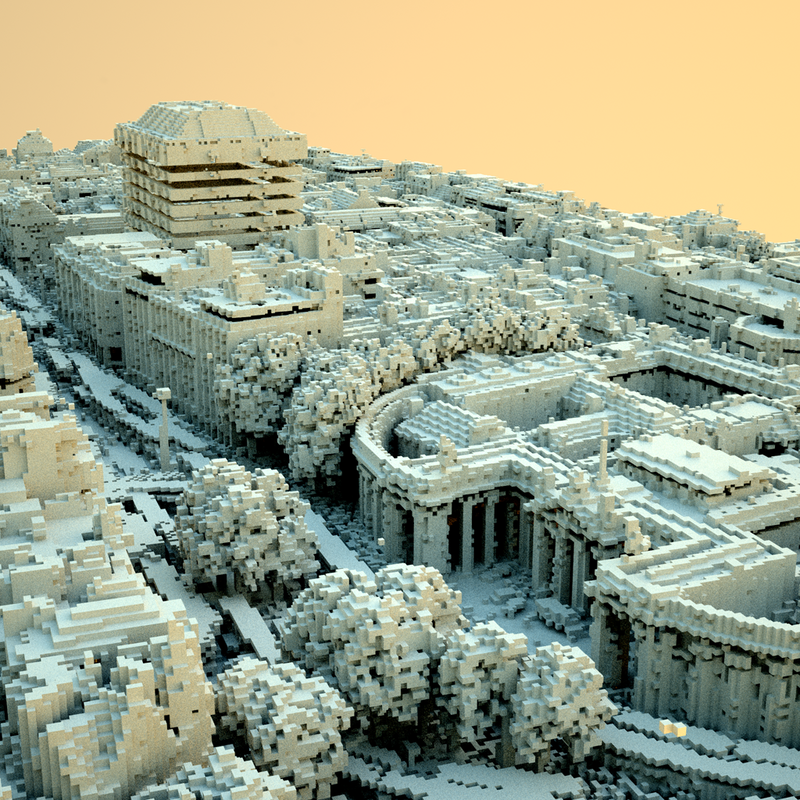 An alternative is to use cubes as rendering primitives. Cubes have clearly defined volumes and six distinct surfaces, which means they can be rendered with traditional techniques. Cubes are created and stored in a hierarchical data structure known as an octree. Using a divide-and-conquer strategy, cubes are created to encapsulate the input point set. So, for each cube there is one or more data points inside its volume. The cubes are in fact the bounding boxes of the leaf nodes in the octree, which is recursively sub-divided to a user-defined depth. Data points are streamed, which means that there is no limit to the number of points being used in octree creation. Further, the memory footprint of the octree is orders of magnitude smaller than that of the raw points. 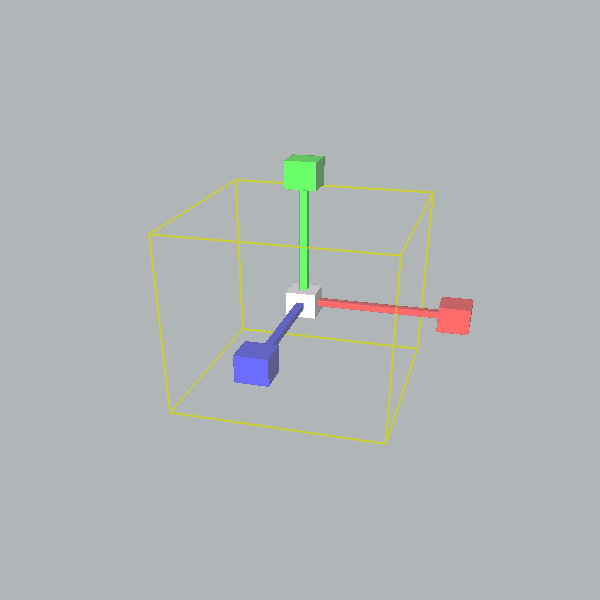 The cubes are output to an OBJ-file, which can be rendered in real-time or offline. 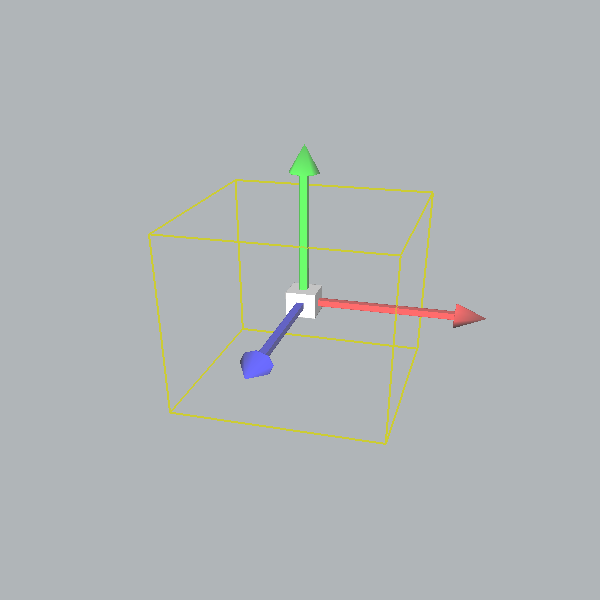 In the case of offline rendering (especially ray-tracing) it is possible to merge neighboring cube faces, to drastically reduce the amount of geometry to process (approx. an order of magnitude). This greatly speeds up rendering times without compromising visual quality. Images on the left were rendered with Maxwell. The image below was shortlisted for the UCD Image of Research Competition 2008. The input point set for this image was part of a high-grade aerial laser scan of the city of Dublin. Famous rockband Radiohead have generously released the data captured during the making of the video for their single House of Cards. 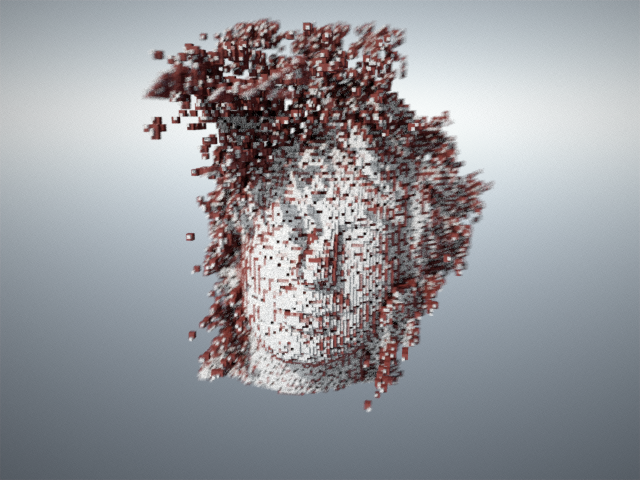 The data consists of several thousand frames of real-time laser scan data of singer Thom Yorke’s face. A few frames are showed on the left. 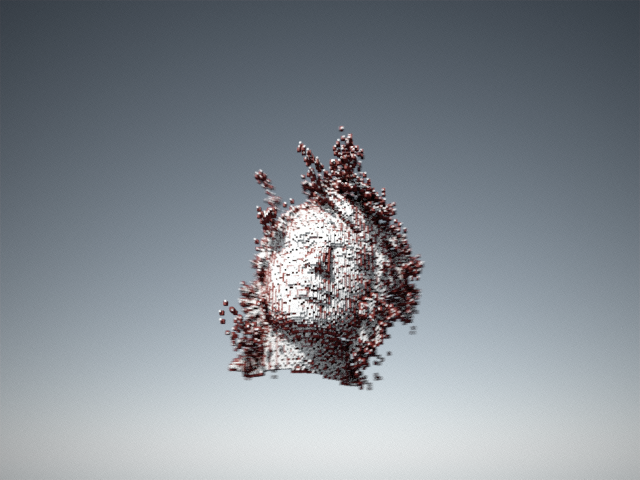 Two levels of voxelization, rendered in different colors, are overlaid and rendered with depth-of-field and motion blur. Finally, the images were post-processed to remove some saturation from the green and blue channels. The Preetham sky model simulates sky color for a given time (year, day of year and time of day) and location (latitude, longitude). The main idea is to compute the color at zenith and use a clever distribution technique to approximate the rest of the hemisphere. This leads to a cheap, closed-form solution that is reasonably close to meteorological measurements and relatively easy to implement. However, this model is not perfect, and a rigorous criticism was made recently. In spite of this, the Preetham sky model provides nice backgrounds to CG scenes, especially when compared to many of the simpler alternatives, such as single colors or gradients. The main alternative is to go out and acquire panoramic photographs of real skies, a task that requires expensive hardware and is time-consuming. Also, photographs cannot be animated over time, providing only static snapshots of lighting conditions. Finally, this implementation could be improved by adding physically based glare and some form of tone mapping. 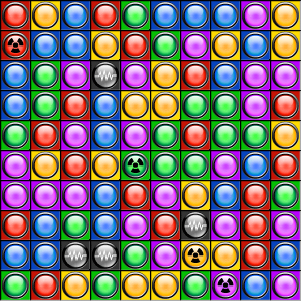 The general idea of this game is that areas that are connected by having the same color are removable, and the objective is to remove areas in a strategic way until no further moves are possible. Cells will fall down if there is empty space below them and will be pushed together if there are empty columns. The game ends if there are no possible moves or if all the cells are gone. My idea was to write a solver that builds a game tree where each leaf contains the final score from making a particular sequence of moves. As one quickly realizes there is a huge number of possible solutions. In order to speed things up, pruning of the game tree can be deployed. However, it is very likely (although unproven for this particular problem, but proven for similar but simpler problems) that the problem of optimally solving this game is NP-complete. This means that pruning won’t really help, because all leaves have to be visited in order to guarantee an optimal solution. However, a few obviously strategically flawed paths can be skipped. As with most pruning, evaluation functions must trade greediness and speed for optimal solutions. A more failsafe optimization would be to implement a transposition table, because it is likely that by following different sequences of moves (in some cases simply changing the order of the moves) we arrive at the same game position, albeit with a different score. However, this involves checking for existens of a game position before solving at each node. This requires a fast hash-function for computing unique ID’s for game positions, which is non-trivial to design. In these cases we can terminate the paths where the same position was achieved with a lower score. Currently, I can solve small grids (5×5) using a brute force approach. I also have a playable version of the game, for verifying the suggested moves (and for fun). The solver and the game are built on the same core-library developed by me. The Hough transform is a feature extraction technique used to detect objects or shapes in images. Features are represented in a suitable parameter space. 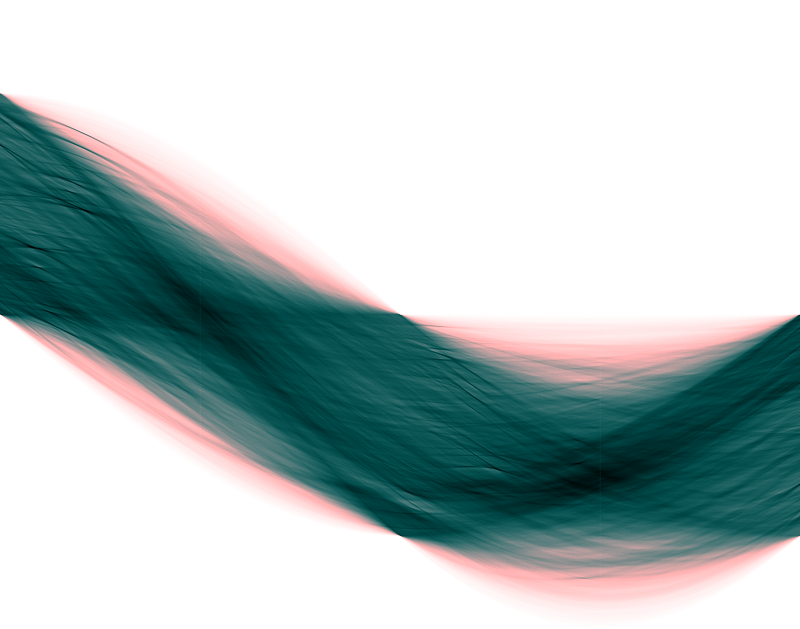 The transform then casts votes into this space based on processing of the pixels in the input image. 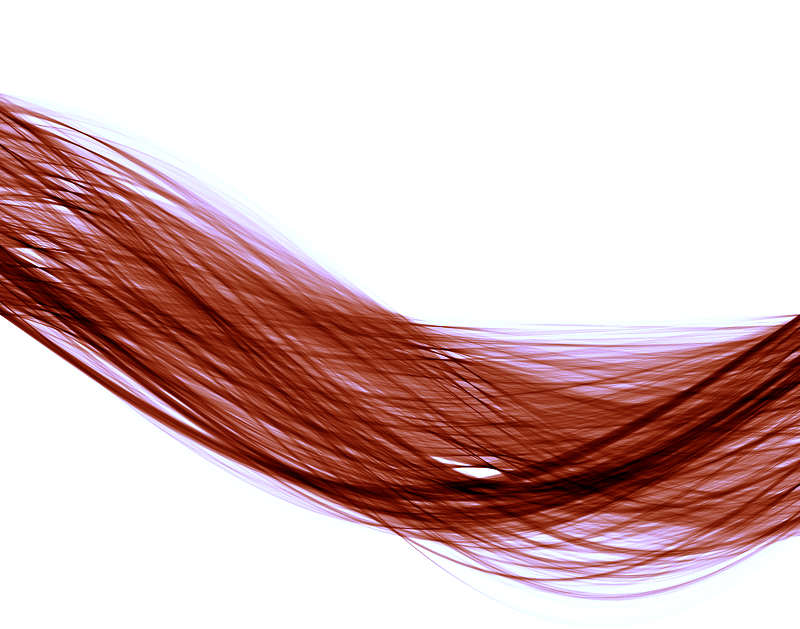 Local maxima in parameter space then correspond to the parameterised features. The Hough transform operates on binary images, and as such often requires a thresholding of the original image. For greyscale images an alternative is to use the Radon transform. The Radon transform is roughly equivalent to a continuous formulation of the Hough transform. The images to the right show the respective parameter spaces of a Hough and Radon transform applied to an image (not shown here). At first glance we seem to get better contrast in the Hough image. This is often desirable because it makes the task of finding robust local maxima easier. However, the price we pay for this is the constraint of having to input a binary image. Although it is more difficult to find robust local maxima in the Radon image, this method may sometimes be preferrable. One such case would be when the task of finding robust local maxima is easier than finding a suitable threshold for the original image. First, please note that this project does not express any political views whatsoever. Posterization is an art-form with the power to transform images into aesthetic renderings geared towards a particular message, often using few colors for printing purposes. 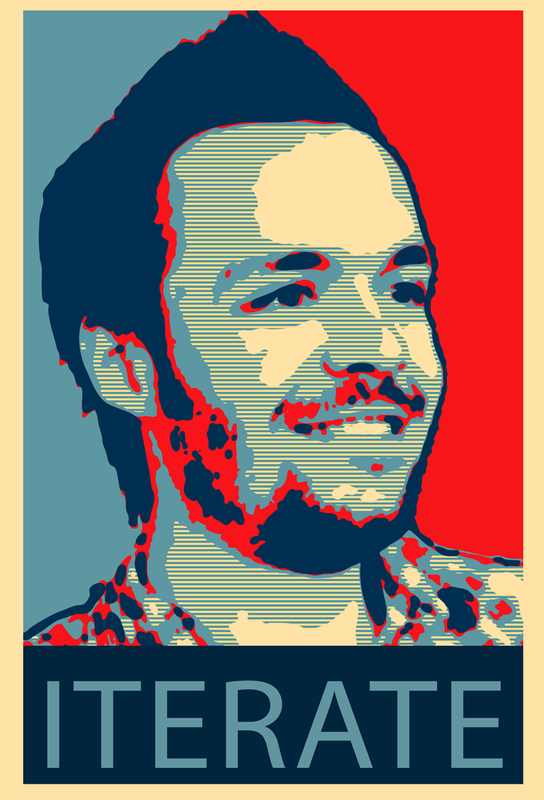 I have taken the impressive style used in the 2008 Obama-campaign and applied it to a picture of myself. The procedure is well described in this tutorial. A lot of manual work is required and it is non-trivial to achieve the professional look produced for the presidential campaign. Also, some of the procedures described in the abovementioned tutorial are needlessly complicated. For instance, I have found that using a combination of blurring and median-filtering on the different threshold levels, followed by manual tweaking, is an intuitive way of shaping the final product. Also, this allows much more efficient use of the live-tracing capabilities of Adobe Illustrator, which eliminates the most time-consuming part of the process, namely the path-tracing. Adobe Photoshop and Illustrator were used to create the different image levels and the following path tracing. This application ray traces level sets by using the signed distance function to determine safe distances for rays to “leap” into the data grid. 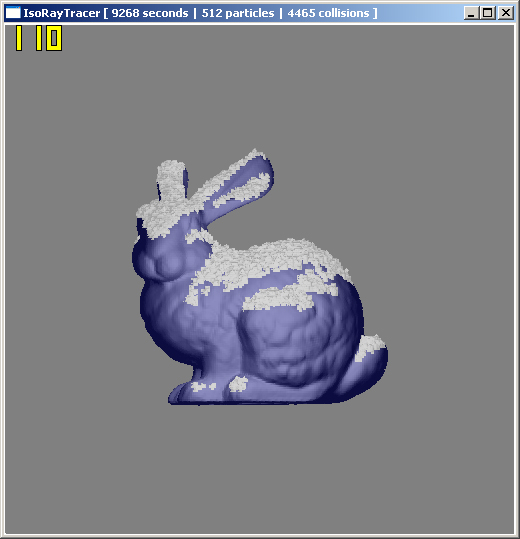 Snow is applied by letting particles fall downward in a 4D simplex noise field and applying a union operation where particles collide with the level set. The build-up of snow is rather slow for small particles, but smaller particles yield a finer grained build-up where individual unions are not visible after a while.